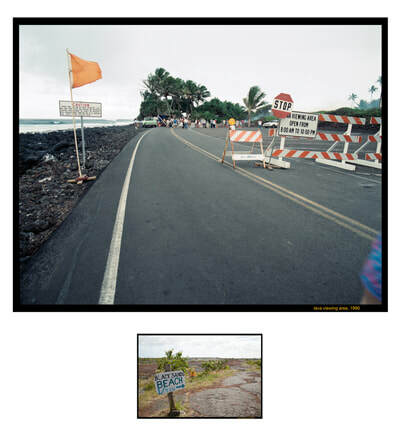 I have been photographing in Hawaii since my first visit in 1986. 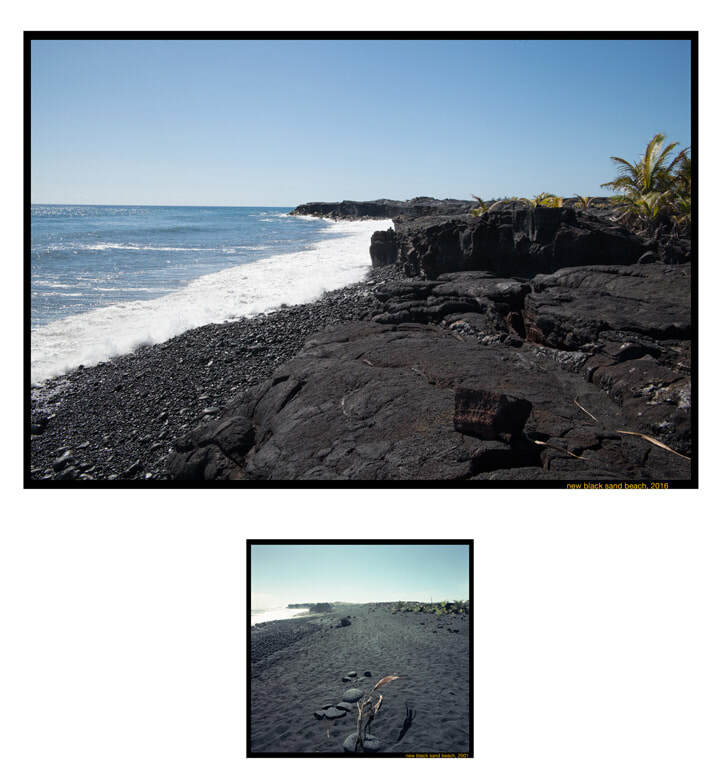 I had not expected the beauty and the variety of landscapes I encounter. 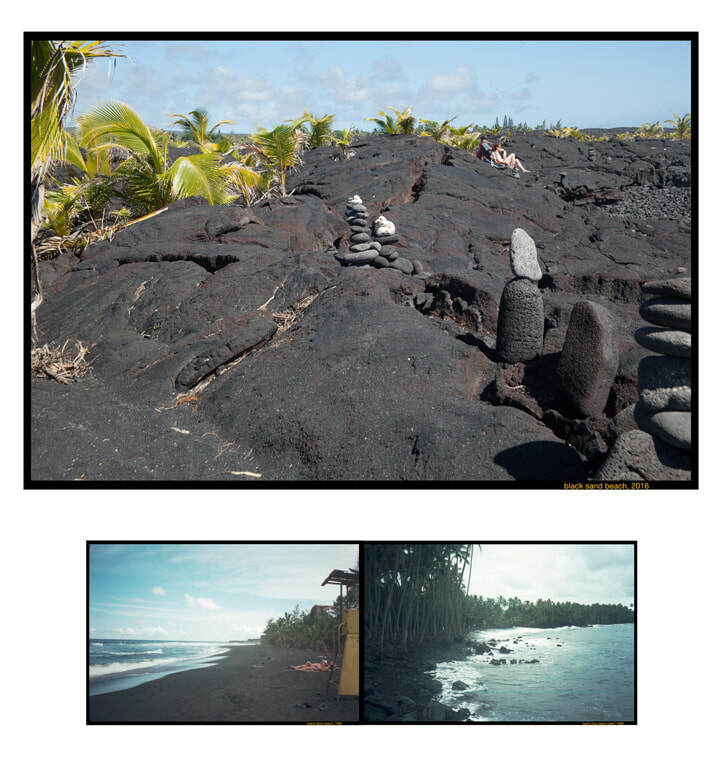 I first visited Kaimu Beach Park, also known as Black Sand Beach Park in 1986 and have been fortunate to have visited several times over the years. Our most recent visit was this past January. In 1983 eruptions from the Kilauea volcano began to affect this part of the southeastern coast of the Island of Hawaii, including the coastal area that lies within Hawai’i Volcanoes National Park. 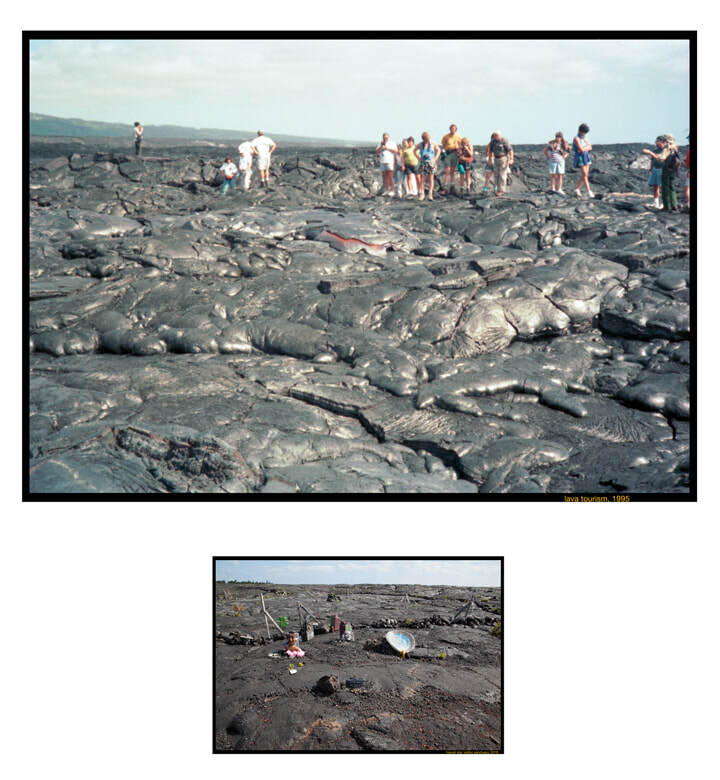 Lava first reached the ocean in 1986 after destroying some houses in Royal Gardens subdivision and the coastal community of Kapa’ahu. The flow crossed the road and into the sea; one can no longer enter the park on the Chain of Craters Road, Route 130, the main road from Kalapana to Pahoa to the north. 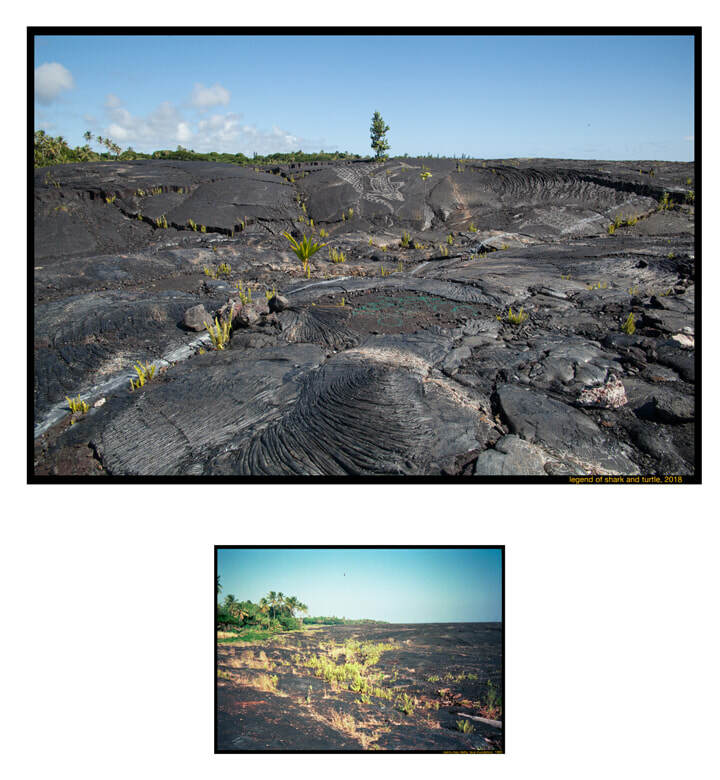 In 1990 lava flowed into Kalapana itself burying the community of 100 homes, a church, a store and the beach park under 50 to 80 feet of lava filling Kaimu Bay and profoundly altering the landscape, adding acres of new land. 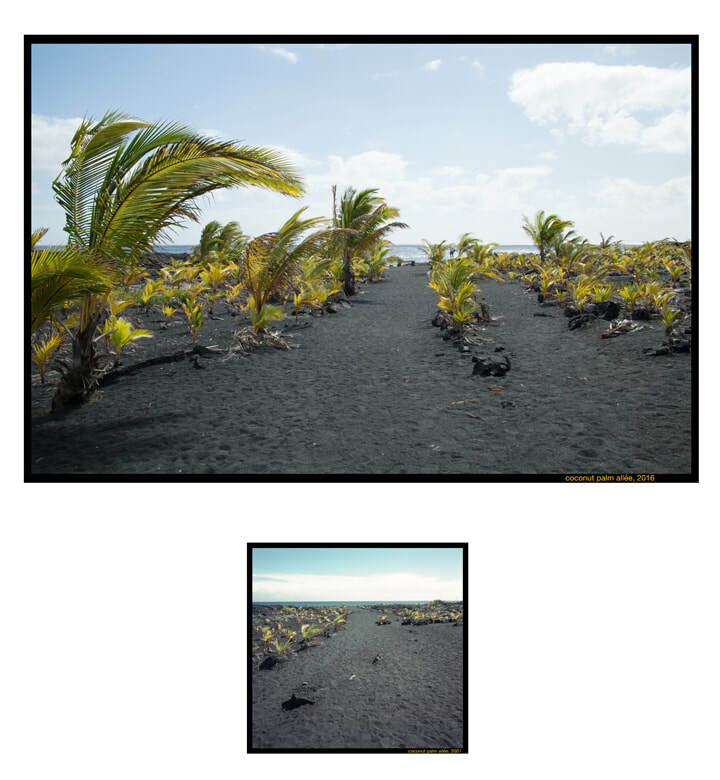 It has been fascinating to note the changes brought to this new land after the inundation of the lava flow that overran the beach, to notice the first plants to take hold on the lava “extension”. Residents and visitors plant sprouted coconuts to reestablish the coconut palm groves along Kaimu Bay that were a characteristic feature of the beach and the community. Individuals have created memorials, messages and works of art. Just before the lava made its way to the sea the Star of the Sea Painted Church was moved further inland on Route 130 and restored. 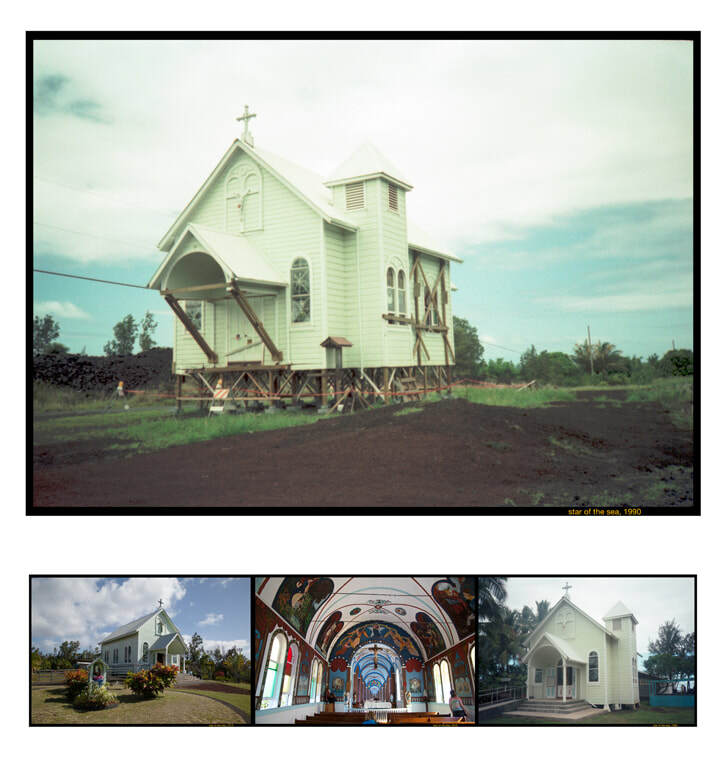 Built by Father Evarist Gielen a Belgian Catholic Missionary priest in 1927-1928 it is on the National Register of Historic Places. 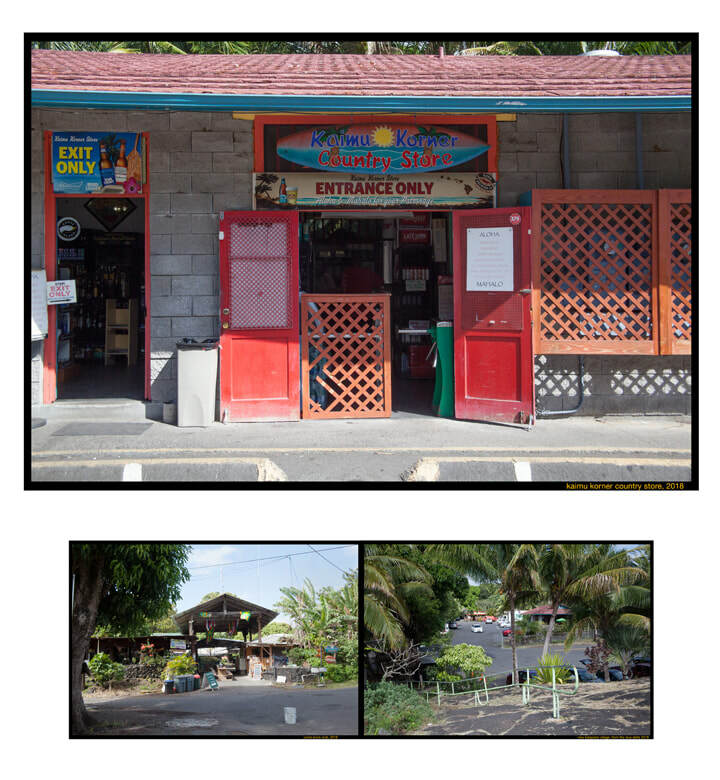 The store was rebuilt. 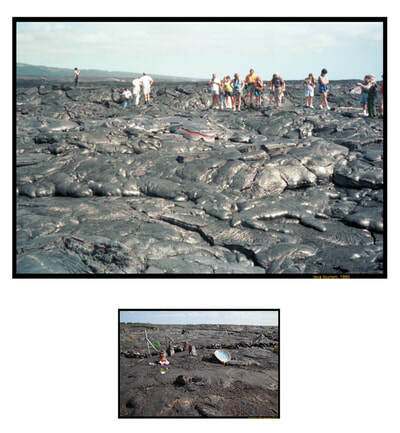 A Farmer’s Market takes place at Uncle Awa’s Club and occasionally concerts are held on the open space of the lava. New houses have been built on the lava in other parts of the community.